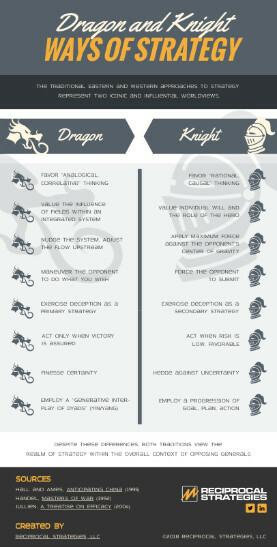 Long-time RTJ readers will recall the Dragon and Knight short course we taught a few years ago. We’re thinking of bringing back the course via Reciprocal Strategies. As a teaser, we put together this infographic. (This is version 01; we expect to add to it later.) Click on the thumbnail to view the full text as a PDF file. Ingographic thumbnail. Click to open PDF.